· evidence of a minimum of 360 hours of employment and/or vocational placement completed in an Australian workplace, using industry-standard equipment and processes relevant to your qualification and nominated occupation, within the three years prior to applying online. Applicants who intend to apply for permanent skilled migration may choose to complete Steps 2-4 of the Job Ready Program. For Job Ready Employment, applicants must find employment in their nominated occupation, and submit that employment for Job Ready Employment through the online portal and provide the appropriate registration documents to TRA. Employment completed prior to registration for Job Ready Employment, may be considered. Such employment will only be considered where suitable evidence is provided. The decision to accept or reject any employment completed prior to registration is at the absolute discretion of TRA. When registration for Job Ready Employment has been acknowledged by TRA, applicants can participate in a process to verify 12 months of employment. When a participant has completed and provided acceptable evidence of at least 863 hours of paid employment over a minimum of six months, they may be eligible to participate in Step 3 – a Job Ready Workplace Assessment. The Job Ready Workplace Assessment is conducted in the place of employment registered for Job Ready Employment. 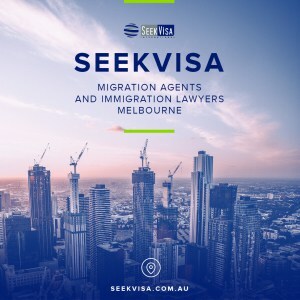 The purpose of the workplace assessment is to determine whether the participant is successfully operating at the required skill level for their nominated occupation in an Australian workplace. Go to Section 2.3 for more information about the Job Ready Workplace Assessment. A Job Ready Final Assessment is conducted when acceptable evidence of at least 1725 hours of paid employment over a minimum of 12 calendar months is verified and after the successful completion of a Job Ready Workplace Assessment. 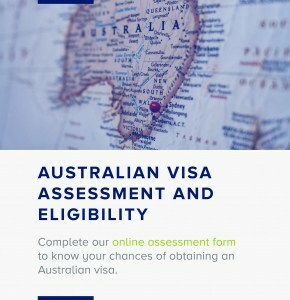 The Job Ready Final Assessment will determine whether the participant has satisfied the skills assessment requirement of DIBP for an independent skilled migration visa. Go to Section 2.4 for more information about the Job Ready Final Assessment. TRA manages the Job Ready Program on a cost-recovery basis in accordance with the Australian Government Cost Recovery Guidelines. The following fees are payable to TRA (all amounts in these guidelines are in Australian dollars). The fees paid to TRA do not attract Goods and Services Tax (GST). Employment details must be submitted through the online portal and the registration documents (see Section 2.2.3.3) posted to TRA for the application to be registered. Participants must be in current employment when TRA receives the registration documents for employment to be considered for JRE. Participants may claim up to three consecutive months paid employment that was undertaken prior to applying online for JRE by completing a Statement of Prior Employment form available on the TRA website under ‘Forms and Policy’ and acceptable pay evidence (see Section 2.2.6 Employment Evidence Requirements). · not already used to meet the work requirements for step 1 – Provisional Skills Assessment. In exceptional circumstances further credit may be applied however this will be granted solely at the discretion of TRA. Participants in Job Ready Employment must be in paid employment in an arrangement where an employer – employee relationship exists. · the participant accrues annual leave and/or other leave entitlements. TRA may consider subcontractor work if the nominated occupation on the Employment Registration Form is in a building construction trade. Subcontractors whose employment is eligible for consideration must show that they expect at least 50 per cent (863 hours) of their work to occur with a single contractor, and that the contractor is willing to fulfil the requirements of an employer for the purpose of the Job Ready Program. The participant must complete at least 1725 hours of paid employment over a minimum of 12 calendar months from their Job Ready Employment start date. The participant must remain in employment for a minimum of 12 calendar months. For example, if their JRE start date is 24 September 2011, they are required to stay in employment in their nominated occupation until at least 23 September 2012. Please refer to Section 2.2.5 for information with regard to the Job Ready Employment start date. Periods of part-time employment or no employment may result in a longer timeframe for the employment to be equivalent to the 12 calendar months requirement. The participant must complete a minimum of 1725 hours of employment. This calculation does not include any paid leave. It may take the participant longer than 12 calendar months to complete the minimum number of hours required if they are in part-time employment or have periods of unemployment or extended leave. It may take the participant less than 12 calendar months to complete the minimum number of hours required if they work more than 38 hours per week. However, if they complete the minimum number of hours in a shorter period, they will still be required to complete the 12 calendar months Job Ready Employment requirement to be eligible for a successful Job Ready Final Assessment (Step 4). Where overtime or penalty loadings are paid, only the actual hours worked will contribute to the employment requirement for Job Ready Employment. Copies of bank statements showing the deposits for the above invoices. The participant must be able to demonstrate that the deposits are from the employer e.g. the name of the employer being clearly identifiable on the bank statement or via other means such as copies of deposit slips from the employer etc. After the Job Ready Employment Summary Page, Employment Registration Form and fee payment is received by TRA, the participant will be assigned a TRA Liaison Officer (TRA LO) who will assist them through the program and who will provide advice on what they need to do to successfully complete the program. The TRA LO will not provide migration advice. The TRA LO will be in regular contact with the participant and will also need to talk directly with the employer about the Job Ready Program only. The employment arrangement is between the participant and their employer and the TRA LO will not get involved in any workplace disputes. A TRA LO will conduct online verification processes to confirm the validity of the business after receiving the signed Employment Registration Form. Following the verification of the participant’s employment arrangements, a TRA LO will contact them and their employer to arrange a site visit. The TRA LO must obtain employer approval to visit the work site. · respond to questions the participant or their employer may have about the Job Ready Program. · the employment arrangements are unlikely to provide the participant with access to an appropriate range of tasks and duties or industry-accepted tools and equipment relevant to their nominated occupation. If the participant receives advice that the registered employment arrangement does not meet the Job Ready Employment requirements, the period of that employment cannot be counted for the Job Ready Program and they must find different employment that does meet the requirements to be able to complete the Job Ready Program.